In this post, you’ll learn 6 powerful ways to use your blog to provide incredible value to your readers. What keeps visitors and readers coming back to your blog? No, it’s not just value, it’s tons and tons of incredible and to die for value. You’ve heard the phrase, “Always over-deliver on the value”, just find ways to keep giving! Let your presence be felt online, always put yourself in front of your audience. Share as much of your knowledge, experiences, and insights as often as you can. Bill Gates once said that content is king! He was not wrong there at all! I mean, just look at what content has done to the web. Because that’s pretty what the web is made up of, pure content. Yes, content is king, but not just any old regular content. Quality content is King. That’s now more important than ever before. So, how do you provide incredible value through your blog, content, and everything else in between? I’m glad you asked because below, I’ve compiled 6 very powerful ways to make your blog super valuable, and I don’t just mean by writing great content either, so let’s dive right in. How to dominate your niche by over-delivering on the value thing! In my opinion, this is the ultimate way to ‘provide value’. And, it’s so easy to get started. All you have to do is simply help as many of your readers in your community find solutions to their problems. Seriously, though, the majority of people that come to your blog, especially first-time visitors, are there looking for one thing only. They’re not coming to your blog to find friendship with you, they’re coming to your blog to find a solution to their problem. And if you can’t help them with their problem, they’ll simply move on. You need to go all-out and create more ‘problem-solving content’ for your readers. You have to become a problem-solving blogger. “How is the topic I’m going to write about today going to benefit my readers?”. If you’re creating problem-solving content already, then great, good for you and I’m glad to hear it. However, if it’s not working for you, then you need to investigate why this is the case. “So, how do you find out whether your content is helping your readers or not?”. The first method is to engage with your readers as you’ve never engaged with them before. Find out what they really need help with. Just ask them? Well, you can start by adding an ‘ask’ feature or ‘question and answer series’ to your blog posts. This really, really works guys and dolls, I know because I’ve done this myself in the past. Many moons ago, I used to publish a weekly Q&A roundup post. These days, however, I create YouTube videos, as well as my blog, to provide solutions to my reader’s problems. Seriously, though, you really need to have a connection with your readers to understand their needs better. You simply cannot guess what their problems are and try to create content for them, it simply won’t work. The second method is to look at your metrics (Google Analytics or whatever you’re using these days). 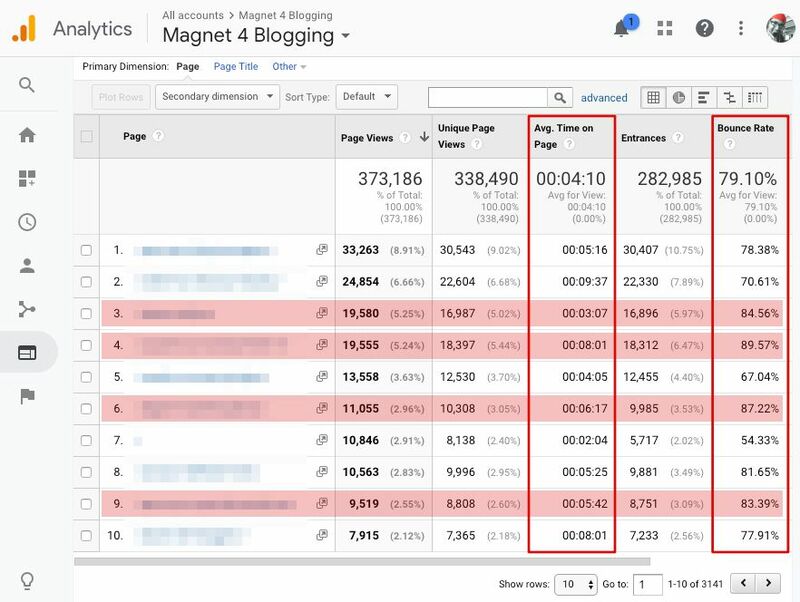 See what pages within your blog your readers are landing on and spending the most amount of time on. Look at the bounce rate, time on site, and traffic source as well. Find articles with high bounce-rate and try and work out whether the bounce rate is high because the post doesn’t provide enough solutions for your readers, or because your readers have found a solution? In addition to checking your analytics, a great way to see whether your existing content is helpful or not is by setting up heat maps, click maps, and scroll maps on your high-impact pages. You can use tools like CrazyEgg or HotJar to help you collect valuable user-data. I know this whole process can take time, however, the more you understand the needs of your visitors and readers, the better you can cater to them and help them find answers to their problems. Don’t forget to check out the comment section of some of your popular blog posts too, often there will be questions lurking in them. Transparency in blogging and online business is how you win people’s trust, I don’t care what anyone else thinks or say about that. You know the saying, the proof is in the pudding, right? So, don’t be afraid to show them what’s working for you and your blog right now. Too many bloggers are caught up in ‘telling people what to do’ when teaching and preaching on their blogs. However, people don’t want to be told what to do or how to do it, they want to be ‘shown how to do it’. So how do you become transparent in blogging? Easy, just be honest and show your readers exactly what’s working for you, or not working. It’s not always about writing self-proclaimed success stories about how you made it. Folks will appreciate your honesty, respect you more, and maybe even relate to your failures as well if you are honest with them. The great thing is, they’ll feel more comfortable in perhaps sharing their own stories of success and failures with you as well. Here are some ways to be transparent in blogging. Create case studies (Both relating to your success and failures in blogging). Publish and share detailed progress, income, and traffic reports backed up with screen captures, videos, etc. (Completely optional). Create good honest, unbiased online reviews, based on your own personal experiences with various products, services or situations even. Share or use relateable story-telling to engage with your audience further. When it comes to creating top-notch content, it doesn’t mean you just resort to using your blog to do it. Your blog should be the central hub of valuable information, however, you should also make that valuable content accessible on other platforms and mediums by repurposing your content. Create slide presentations, videos, podcasts, eBooks, and consider doing live-streams, and more. 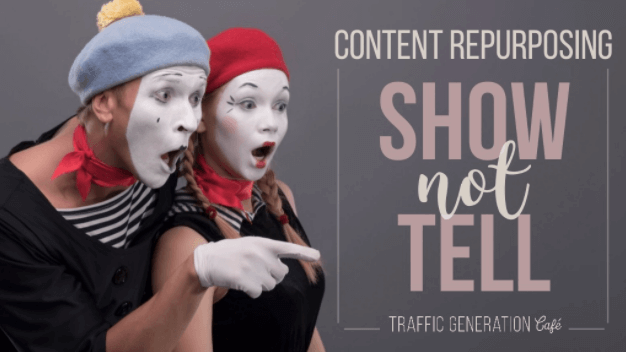 There’s an incredible post over on Traffic Generation Cafe that covers everything you need to know about repurposing content, I highly recommend you check it out after reading this post. This is something I’m really passionate about, which is why I’m focusing more on creating videos for my business in 2019 and beyond. If you do none of what I’ve shared with you in this post so far, just do one thing for me: Be there for your readers. Often bloggers preach about creating value and putting themselves in front of their audiences, but when you look at the comment section on their blog posts or their social media activity, you don’t see their face or name anywhere. In fact, I can think of a dozen bloggers that’ I’m connected with right now that get a ton of comments and questions on their blogs, yet they’re nowhere to be seen in the comment section. If you’re going create value for your readers, that means putting yourself in front of your tribe and being there for them when ever possible. Enough said. You cannot just sit in your little tower and wait for people to come to you with their problems. Reach out to a few of your readers and ask them if they need help with anything. It doesn’t hurt to send an email to a few of your most loyal subscribers to check up on them from time to time. This is something I’ve started doing recently, and for the most part, it works. When someone new comes to my blog and leaves a great comment, firstly I’ll reply, then I’ll head over to their blog to see what they have to offer. If I like it, I’ll read a post and add a comment too. Sometimes, I’ll also reach out to them via email just to thank them for leaving a great comment on my blog, and to let them know that I’m here to help them. Adding value shouldn’t just take place on your own platform. You should take the time to add value to other blogs as well, in the form of blog commenting, and guest blogging too. 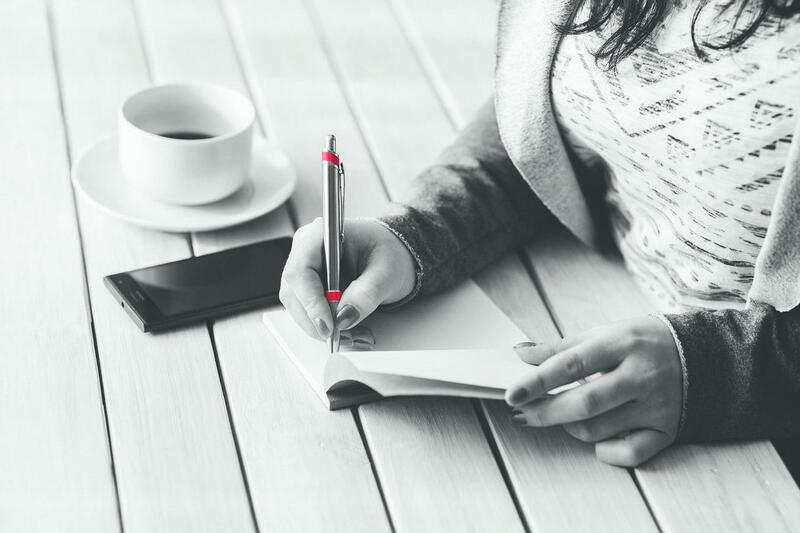 Find blogs in your niche, look for unanswered questions and try to respond to them by sharing your own advice and solutions, especially if the author hasn’t already done so. Well, that’s enough ranting from me, let’s do a quick recap of the 6 tips I shared with you above. Help your readers find solutions to their problems. Create more “problem-solving content”. Be honest and transparent with everything you share on your blog, whether it’s a product review, a case study, or income report. Transparency builds trust, remember that. Ensure you’re using all available platforms and medium to help distribute your valuable content, not just your blog. Be there for your community, always. Occasionally reach out to people in your community, tell them, show them you’re willing to help them if they ever need you. Be seen providing value not just on your blog, but other blogs and communities as well. Do this through smart blog commenting and guest blogging. I do hope you’ve enjoyed reading this post, and that it’s motivated you in some small way to get out there and create even MORE value on your blog, and for your audience.